Medicinal mushrooms are fungal organisms that are used in traditional Chinese Medicine, nutritional supplements and drugs. It is estimated that China is responsible for 70 percent of the world’s mushroom production. Shiitake cultivation is reported to have begun in China in the 12th century. It is estimated that the worldwide market was $18 billion in 2014. As more medicinal mushrooms come to market it is becoming increasingly important for practitioners to utilize effective products and learn to differentiate between the types of medicinal mushroom products on the market for the health of their patients. There are three distinct parts to a medicinal mushroom: the mycelium, which accumulates food and energy to produce a mushroom; the mushroom itself, or fruiting body; and lastly, the spores the mushroom produces. What are the active components of medicinal mushrooms? There are a number of compounds that are believed to be important in the clinical use of mushrooms. These compounds can be identified and analyzed for reasons of efficacy and quality control. These compounds include polysaccharides, which are generally thought of as biological response modifiers. They activate macrophages, NK cells, and T-cells. It is thought that these compounds might offer protection against cancer cells, as well as viral, bacterial, and fungal infections. Another component common to many medicinal mushrooms is triterpenoids, which have been researched in Ganoderma (reishi) and chaga, a medicinal mushroom used in Russia. In Ganoderma, triterpenoids are responsible for the bitter taste as well as the liver protecting, lipid lowering, antioxidant and anti-inflammatory properties. They also inhibit the release of histamine, which may explain Ganoderma’s anti-allergic activity (see food allergy product/research). Ergosterol, a triterpenoid, has been discovered to have antitumor and antioxidant properties (Chilton 12). Ergosterol is also a precursor to vitamin D, as exposure to UV light converts ergosterol to vitamin D2. Certain medicinal mushrooms may also have nucleosides, enzymes, beta glucans, chitin and naturally occurring statins. What types of products are on the market? There are three main types of products currently available: whole mushrooms, mycelium, and spores. Most of the research in China and Japan has focused on extracts of whole mushrooms. Some products involve complex extractions of whole mushrooms, whereas others involve a traditional decoction, which is then rendered into a concentrated powder. These are typically used in tablet or capsule form in order to concentrate certain compounds. Mycelium and spore products do not have the same level of data. There are also tinctures or liquid extracts on the market. There is a concern that certain mushroom components such as polysaccharides are insoluble in alcohol and also a concern that these products may not have sufficient strength for clinical improvement. How can high-quality products be identified? In general, quality products are available as concentrated powder made from the whole mushroom. The terms 3:1, 10:1, and 100:1 have very little meaning for mushroom quality control. The level of active components, careful species identification and processing is what actually yields results. Whereas some of the cheapest products may contain mostly starch, quality products usually contain active compounds that are assayed in the laboratory. For example, polysaccharides, triterpenoids and ergosterol can be evaluated by high performance liquid chromatography (HPLC). 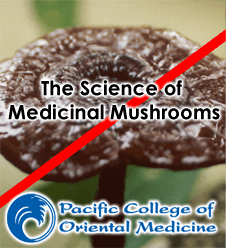 What are the most useful medicinal mushrooms in clinical practice? The most useful and unique are Ganoderma (ling zhi), Turkey Tail (Coriolus, yun zhi), and Cordyceps (dong chong xia cao). I first learned about Ganoderma over 30 years ago. At that time there were “miracle” stories out of Japan claiming that it was a possible cancer cure. As a result, these miracle cases may have stimulated an increase in Chinese and Japanese research. I have found that Ganoderma is can help patients with under- and overactive immune systems. It is useful for a wide range of immune-mediated conditions, including chronic fatigue syndrome, allergies, fibromyalgia syndrome, and as an adjunct to cancer therapies when adequate dosage is administered. The Pharmacopeia of the PRC lists Ganoderma as effective for dizziness, insomnia, palpitations, and shortness of breath, cough and asthma. Ganoderma is best used in the context of a TCM treatment plan. It is important to make sure genuine red Ganoderma (Ganoderma lucidum) is used, as other species such as black Ganoderma (Ganoderma japonicum), have not been as well researched. Very little research has been conducted on mycelium and spore products. Ganoderma can be added to a TCM formula or prepared with other medicinal mushrooms and administered alongside TCM formulas. The typical dosage is 10-30g per day in decoction or 1-6 g per day in a powdered extract. Cordyceps is also known as caterpillar fungus. The traditional preparation of this fungus, which is grown on the larvae of caterpillars and is considered endangered, currently costs thousands of dollars per kilogram. Chinese farmers have cultivated this fungus on silkworm and purple corn. Products are made by selecting microorganisms from Cordyceps and concentrating them in the laboratory. Cordyceps enters the liver and kidney meridians and is widely used in Asia to treat immune disorders, heart disease, erectile dysfunction, asthma, chronic fatigue, and diminished kidney function. Turkey Tail is traditionally used to treat dampness and phlegm. It is one of the best-researched herbal medicines, with over 400 trials demonstrating effectiveness as an adjunct to standard cancer care (chemo- and radiotherapy). It is believed to have antitumor effects based on Japanese and Chinese research and also stimulates NK cell activity. The U.S. Food and Drug Administration (FDA) recently approved a clinical trial for a Turkey Tail extract that will examine its effects on advanced prostate cancer in combination with conventional chemotherapy. Another trial—pending FDA approval—will test the effects of taking the extract along with a vaccine treatment in women with breast cancer. “We didn’t discover Turkey Tail,” says lead investigator Leanna J. Standish, PhD, ND, L.Ac, FABNO, medical director of the Bastyr Integrative Oncology Research Center. “It’s been used in Asia for thousands and thousands of years, and it turns out to be a really potent immune therapy. “ In a study published recently in the peer-reviewed journal ISRN Oncology, Bastyr and the University of Minnesota found that a Turkey Tail supplement may support conventional breast cancer therapies by strengthening patients’ immune system. 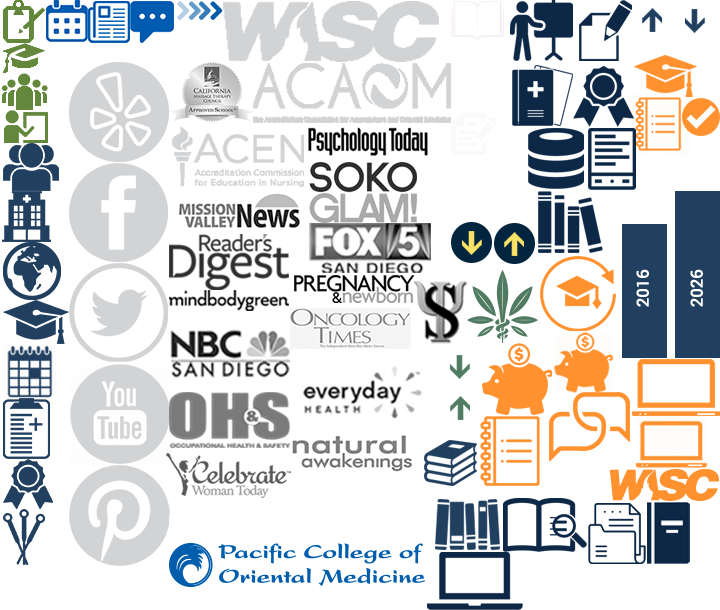 In my experience most health professionals are not aware of the complexity in selecting medicinal mushrooms. One of the biggest issues is species identification; other issues include processing and dosage. While some mushrooms can be selected at mushroom specialty stores and Asian markets and are suitable to be included in soups, teas, or powdered formulas, certain therapeutic mushrooms such as Ganoderma, Cordyceps, and Turkey Tail are best used in the forms pills made from powdered extracts by concentrating active compounds. Cordyceps picture: Zhongzhen, Zhao, and Xiao Peigen. Encyclopedia of Medicinal Plants. Shanghai, PRC: Shanghai World Publishing, 2009. Ganoderma, Turkey-Tail pictures: Lincoff, G. National Audubon Society Field Guide to North American Mushrooms. New York, USA: Knopf, 1981.